Sam Northeast is relishing the challenge of taking on Afghanistan leg-spinner Rashid Khan when Hampshire play host to Sussex in the T20 Blast on Thursday evening. Rashid has been one of the standout performers in international limited-overs cricket in recent time, while also impressing greatly at the IPL, with the leggie having taken 170 wickets at a stunning average of 15.60 in 114 T20 matches in his career to date. Add in a simply outstanding economy rate of 5.98 runs an over and it is all too apparent why Northeast is hoping Hants team-mate Mujeeb Ur Rahman can offer some words of wisdom about his international colleague. Northeast told his county's official website: "We have seen what he and Jofra Archer have done in the IPL. "I've been watching a few videos of his variations, but it could be very different when we get out there in the middle. "When there is someone with a bit more mystery then you pay a bit more attention to them and see what they have got. "There are no easy games in this competition and you just have to back yourself and play with freedom. "I'm sure the Sussex batsmen will be doing the same with Mujeeb here. He is someone they probably haven't faced, so they will be as wary of him as we are of Rashid Khan." 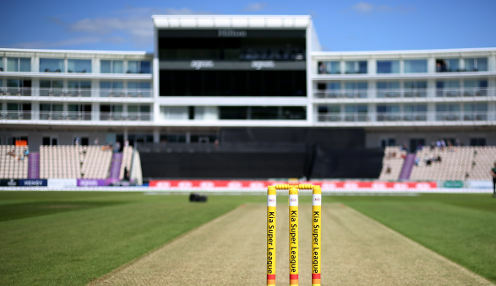 Hampshire are currently priced at 1212/1 to win the T20 Blast, with Sussex 13/5 and Kent 1212/1.